Visit us on Saturdays at Croc Encounters for a self-guided admission. Every Saturday from 11am to 5pm, Croc Encounters offers a special up-close and personal look at the park including alligator and crocodile ponds, plenty of smaller stuff, a live feeding encounter, and a hands-on live animal encounter! You can meet the crocs and other critters during your self guided visit or if you'd like, schedule a guided tour to learn more, feed, touch, and have your photos taken with the reptiles! 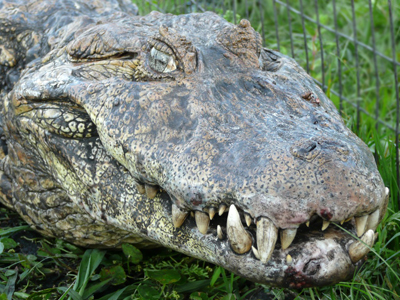 For the full Croc Encounters experience schedule a guided tour any day of the week! Admission to Self Guided Saturdays is only $13 per person. For a limited time we are offering a special bundle package which includes admission, a photo opportunity holding a small alligator and feed for a turtle or tortoise feeding with the Coupon. Click on the link below for the Coupon. on what to bring and our Directions page for how to get here. And don’t forget to click on the link below for the coupon price!